A Street, and West Broadway. Free private parking connected to the building. One block from Broadway Station, the MBTA Red Line. 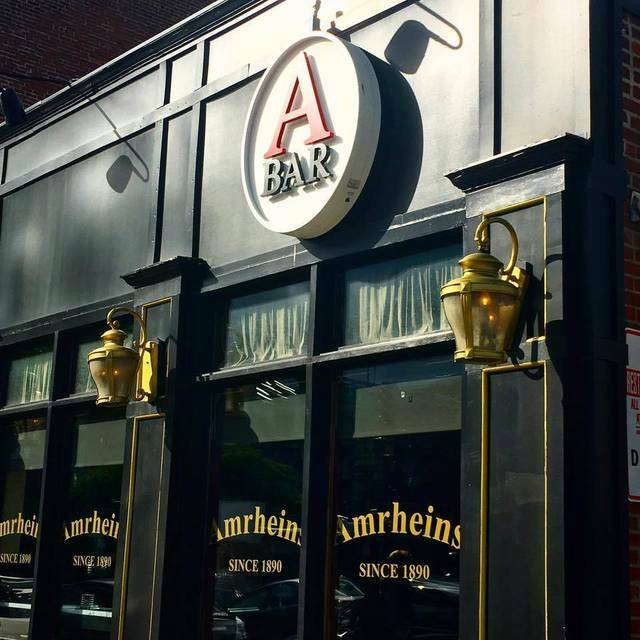 Amrheins has been a Boston tradition since 1890. 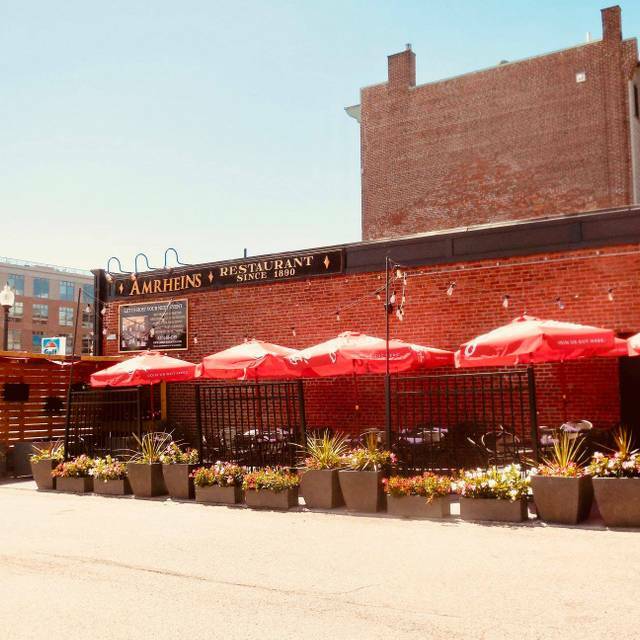 For over a century, diners throughout the city of Boston have been welcomed into Amrheins to enjoy quality meals amongst friends and neighbors. Today that tradition continues in our updated facility. Despite the renovations in 2005, Amrheins is still full of history. Amrheins is the proud home of the oldest hand carved bar in America and still has the first Draft Beer pump in Boston on display. But what really makes Amrheins special is its dedication to quality cuisine and superior service. We hope that you join us again soon. Great pub in South Boston. Has bar side and quieter dining room. Great atmosphere with lots of warm wood and a unique bar ornately carved. Menu has a good variety that includes small plates, entrees, sandwiches and pizza. Also a specials menu. Lots of choices for beer, wine and specialty cocktails. Great for after work dining. I hope this place does not get sold! There is nothing like it in Boston! I went with a friend because she mentioned not having been in a while. 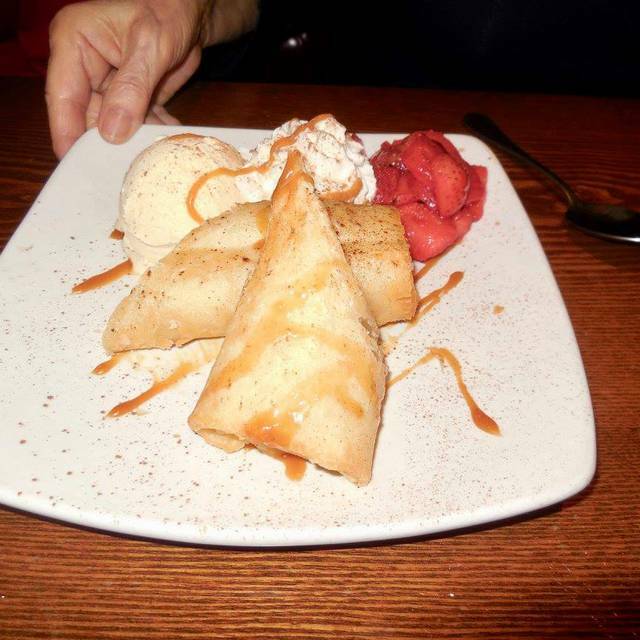 We had really awesome service, and the food was prompt and prepared well. Overall a good experience. It's been a few years since I have eaten at Amrheins - the food and service is always consistent. It was a great dining experience. Food was outstanding, and came out quickly (before we even finished apps). 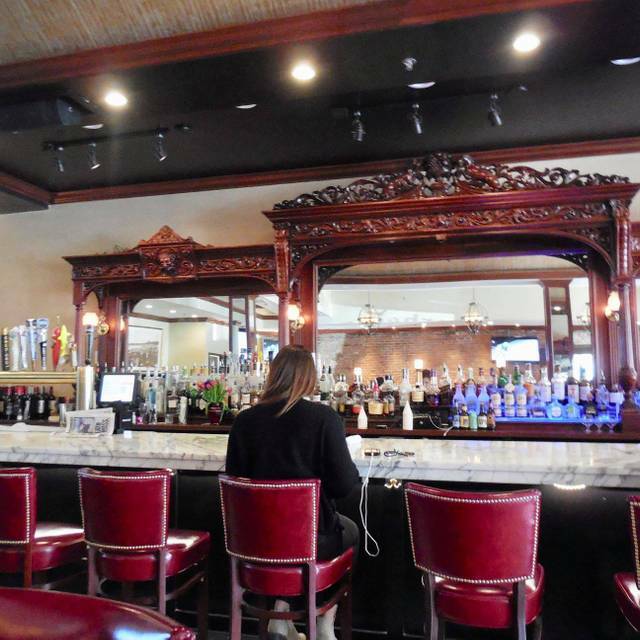 Sit in the "Curley Room", which is away from a busy bar crowd. Our table for seven was ready and waiting for us! Service and food was excellent! We needed some extra service and we got it plus. The waiter,though busy, gave us the attention we needed without hovering. The only complaint from me and my guests were the noise level was too much, otherwise the place, the food, the service was great. Karen was a great server and Marsha is the best hostess! Loved the size of the menu. Even with the noise level being a 3/4 (appropriate for a tavern-ish restaurant), it was more intimate then was expected! Loved the atmosphere, perfect for a casual date. We took out of town guests and they loved it! One was gluten free and the other had the lobster mac and cheese. The guy raved about how good the lobster mac and cheese was and he is very picky about his mac and cheese. Our boiled dinners were outstanding! Parking was easy and our reservation was ready when we got there a little early! Everything was outstanding!! Even though we had a reservation, they did not have room for us so we were put at a table in the bar near the door. It was EXTREMELY loud and very cold. The waitress was friendly (not her fault). We were very disappointed. We loved the Irish dancers! Wait staff was very friendly and accommodating when we arrived early for our reservation. We appreciated that. We had to make it to a concert and told our waiter. He was incredibly responsive and efficient, taking our drink and dinner order, getting everything out quickly, and leaving us the bill when he brought the dinner so there was no wait or down time. We enjoyed our food, good pub fare. And made it to our concert in plenty of time. Nice neighborhood vibe. Atmospheric interior and very friendly waitress. Fairly noisy early in the evening, but it became quieter later on. The food was good but not outstanding. We had a fantastic experience. Great food and wonderful service. Food was delicious. I got the parmesan haddock, scrumptious with green beans & asparagus. The waitress was very friendly and on top of things. We were not rushed at all. It is obviously a popular place but we had to wait 40 minutes (with a reservation) and that makes it a difficult place to recommend. People working there were really nice and professional. Good food and great service. Everyone was pleased with their food. It was really nice. We will certainly be back. We had a blast at Amrheins. The manager Mike Sheridan was so hospitable and our waiter was amazing as well! We got there at 8:30pm and didn't end up leaving until way after 10:30pm because we were enjoying ourselves far too much. We will definitely be back! Disappointing. One weekend in Boston and wish we had chosen another restaurant. It was just okay. Amazing food, fantastic specials, sangria was to die for, service was quick and friendly. Loved and won’t stop recommending. growing up in Dorchester. She passed away in 1993 and always LOVED to dine here. Great meal served by "Don't Walk Away Renee!" As always, a great place to get a great meal with great company. A great eat with plenty of parking. Good for a burger or a lamb dinner. A real Boston stomping ground. Food is consistently good, large portions and service is superb! we enjoyed our time at Amrheins very much. The food was wonderfully prepared for the most part, and attractively presented. I was really looking forward to having the breakfast buffet - according the website it is still going on, so I met a friend at Amrheins for brunch. Unfortunately there was no breakfast buffet, so we each ordered - my friend ordered and omelette with no toast - hers came with toast plopped on top, and her omlette was so well cooked there was no moisture left. I ordered two eggs sunny side down well done, and received eggs that were barely cooked sunnyside up. I had them redone, and they were just barely cooked on the other side. Everything on my plate was cold, as if it had been sitting room temperature, nothing was hot to eat. I and my friend will not be going back to Amrheins. We were very disappointed. The place was more than half empty, but the server wanted to put us at the noisiest table by the bar. With some persuasion, we got seated in the restaurant section to the side. I had short rib, which was quite good, my friend had shepherds pie which tasted oddly very acidic. Everything about the evening was just okay - not bad, not great. My girlfriend and I have had dinner at the A Bar twice. Overall, great food and service. Plus they have free parking. I would recommend this to my family and friends. I love Amrhein's. 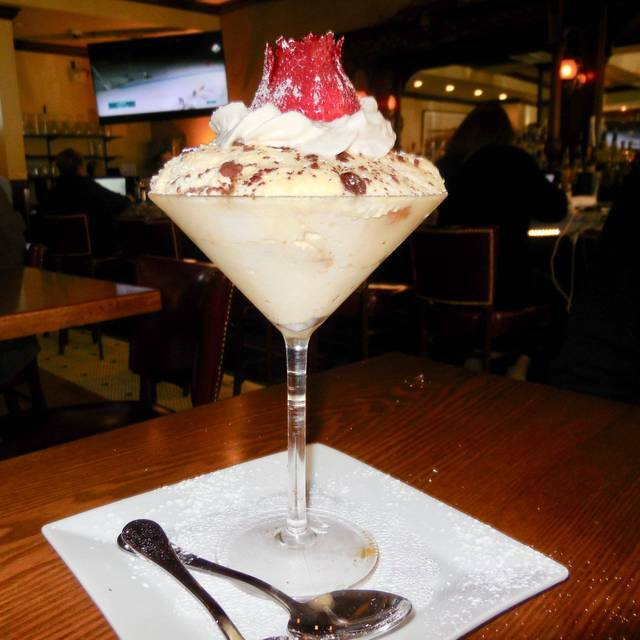 It has been a Boston institution since 1890. The building is beautiful. I love going in the summer when I can go down to the beach and walk either before or after my dining experience. The inside has been renovated. They have a good dinner menu. I also like to go there for brunch on Sunday. South Boston is a great area. The bar is fun and they have the sports on. My only complaint this time is that I made a reservation and would have preferred to sit in the dining room, but they said that was an hour wait. Our table was at the bar. We were there with friends and wanted to have good conversation. The bar was noisy. I did not realize our reservation was for a booth at the bar. Also the service in that room was less than efficient or attentive. I asked for coffee and the waitress brought it and before I had time to ask for cream and sugar she was gone. She never asked if I needed it, and did not bring it. So this time it was a bit disappointing, but the entrees were still delicious. Great chicken pot pie - went for lunch and did not disappoint plus there is parking! Sadly, this place has really gone downhill. We've been there a number of times and always had good food and solid service. Not now. Took friend out for a birthday dinner and ended up walking out. Host refused to seat us in 2nd dining room, so we were next to the bar area which was so loud we couldn't hear each other. Our server was overwhelmed with a large party of 12+, and 6-7 other tables...effectively covering the entire dining area beside the bar. By the time we got served, my entree was cold...clearly had been sitting under the lamps for a while. I asked our server to take it back and have it warmed up. 20 minutes later, I'm still waiting and others in my party have finished. Meanwhile, our poor server's running around bussing tables, taking orders, picking up checks, etc. Host is nowhere to be seen and other waiters standing around doing nothing. Explanation: they don't "warm up" entrees - they make a new entree. Well, OK...then 1) explain that to the customer; and 2) put in a rush order to replace it and hustle it out. And don't let your waiter get so slammed that he can't even begin to give proper service when you and your other staff are hanging around. Total amateur hour by management. We won't be back. No stars for the reason stated. We were in from out of town Monday 10-22-18, called Amrheins 3 times for reservations that night with no answer. Finally made reservation thru open table only to arrive by uber at 8:00 pm to find the restaurant closed due to water issues. (Sorry for your problem) What ever happened to leaving a recorded message on their phone to advise patrons they are closed and stating the reason? Or forward the calls to someone who can answer and advise they are closed. ?